On Monday, September 11th, the Marvin Widrick party went fishing with the Milky Way. The day started off promising when a King Salmon hit the Dipsy Diver as soon as the rig was set. The familiar buzz of line being taken out resulted in a big King being landed and put in the cooler. 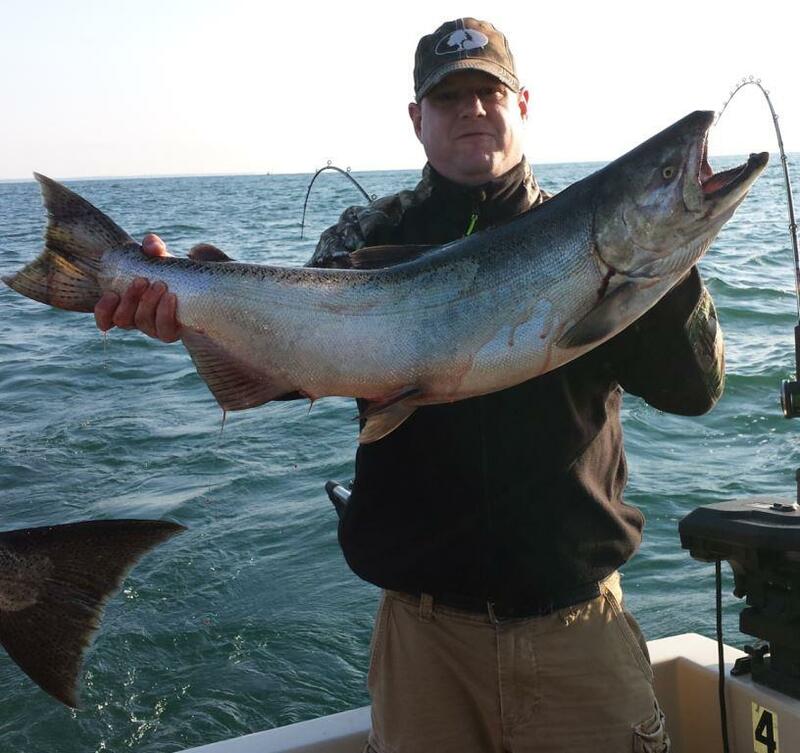 But, the day did not continue on that way and later on a Coho Salmon and Lake Trout was added to the big King already in the box! A Big Day With Big Kings for Long-Time Fishing Friends! On Sat., Sept. 2nd, Nigel and his fishing buddies, Jimmy, Pete and Dave returned to Lake Ontario to fish the big boys.